Gordon Bintner (Vladislav), Simon Bailey (Budivoj) and Ensemble in Dalibor, Oper Frankfurt, 2019. Photo: Monika Rittershaus. Christiane Karg (soprano) & Simon Lepper Ruf (piano) in recital with the Frankfurter Liederabend, 2018. Photo: Barbara Aumüller. 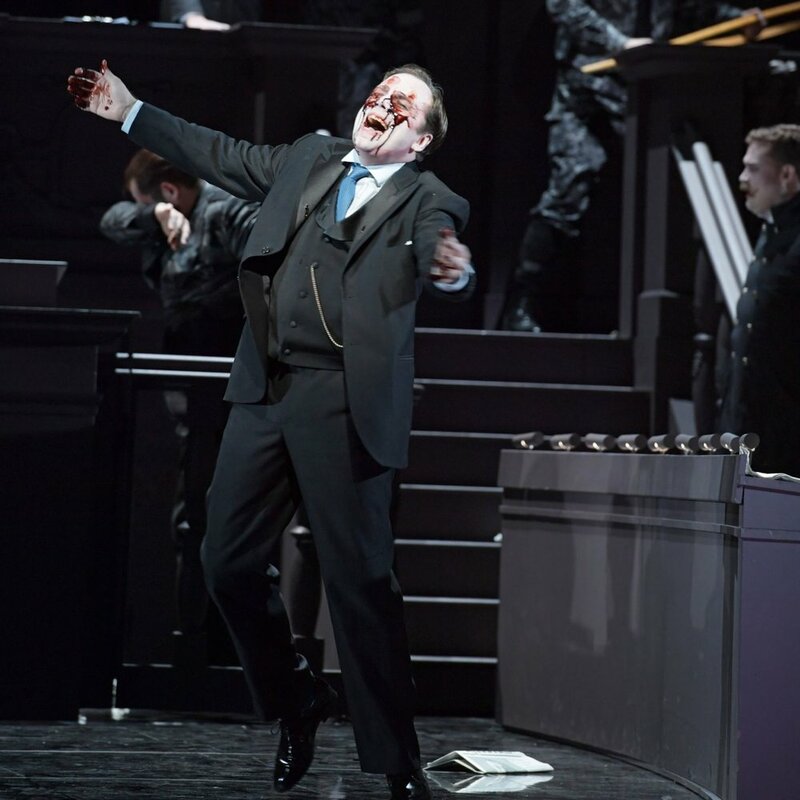 Peter Marsh (Oedipus) in Oedipus Rex, Oper Frankfurt, 2018. Photo: Barbara Aumüller.